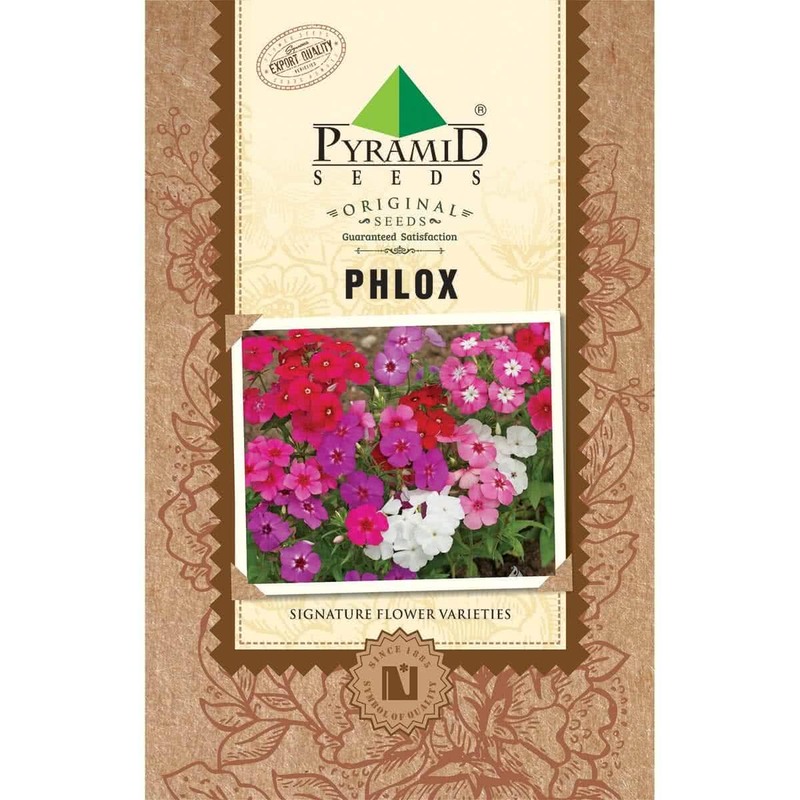 Phlox flowers come in different colors - pale blue, violet, pink, bright red, white. Many are fragrant. 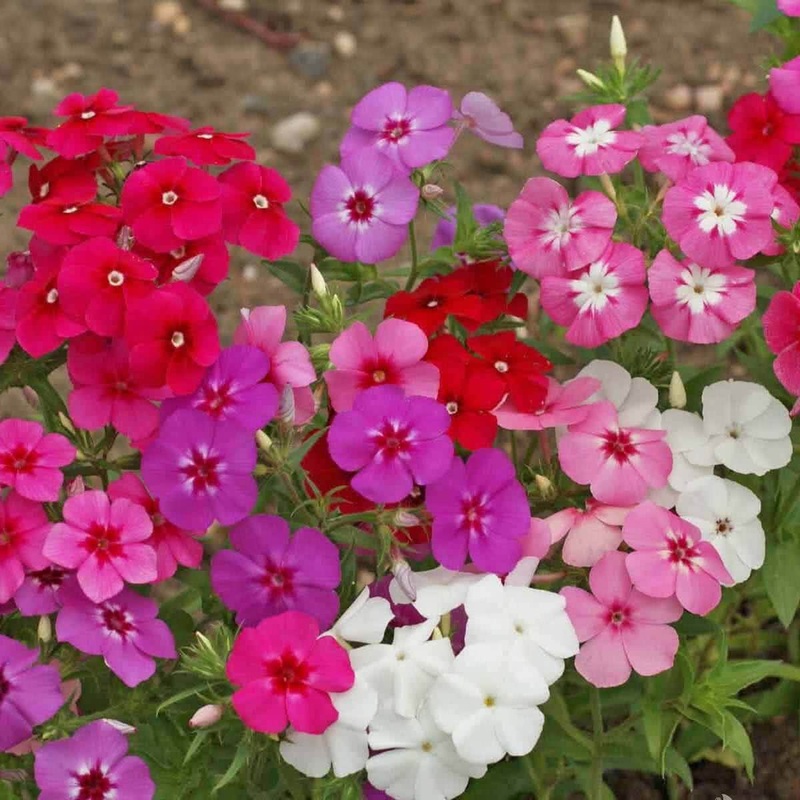 Phlox requires full or part sun, loamy soil and blossom in red, pink, blue and white colors. The large-flowered Phloxes are excellent for flower beds, borders and as cut flowers. The compact ones are grown in the window boxes. Feeding: Phlox grows well in calcareous loamy soil, rich in humus and organic manure. Plant care: Powdery mildew affects the foliage and tender branches, first appearing as greyish white spots and then spread rapidly. Spray fungicides to control the disease. Bloom time: The plant's flower bloom after 3-3.5 months after sowing. Buy variety of flower seeds online.